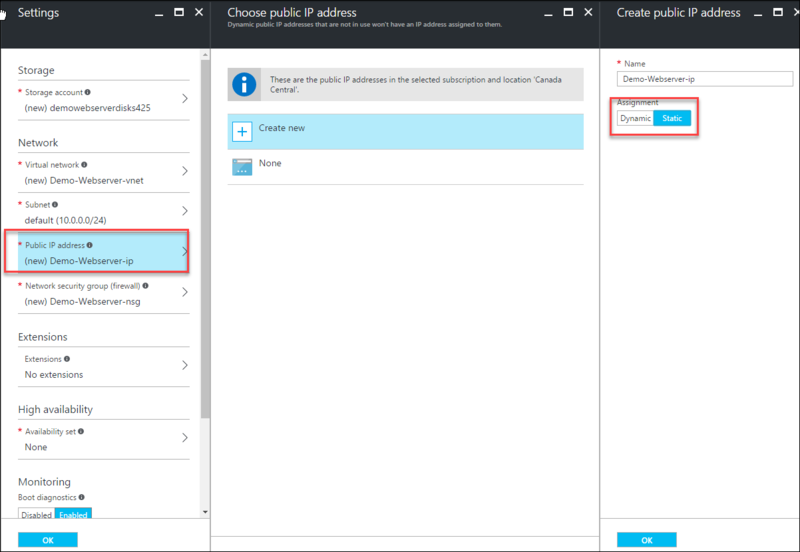 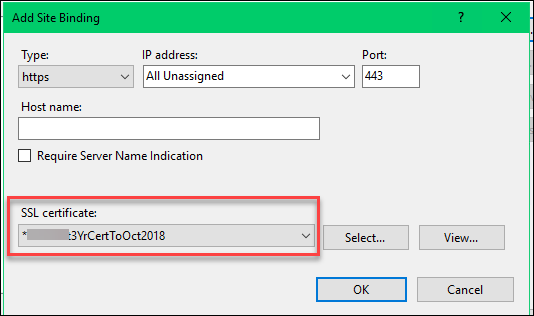 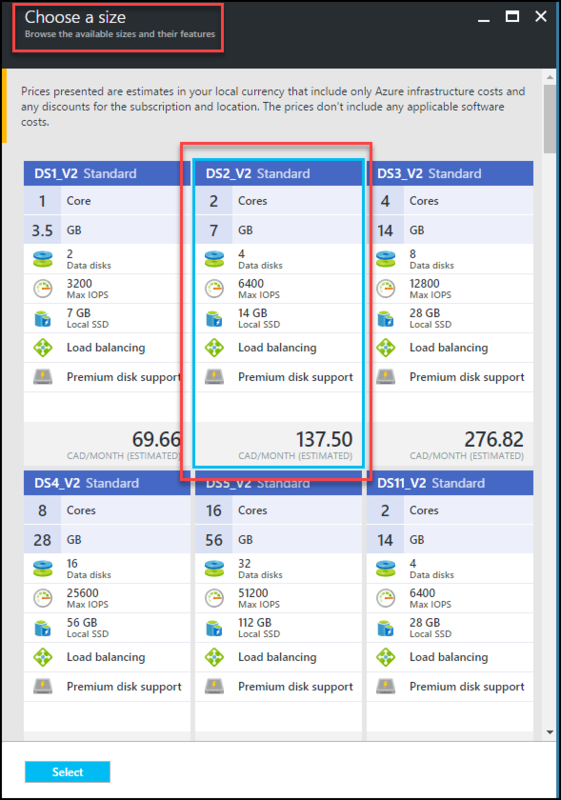 Because when the VM is stopped and restarted, it is possible that Azure will assign a different public IP address, it is advisable to select a Static IP, the Portal default is a Dynamic IP. 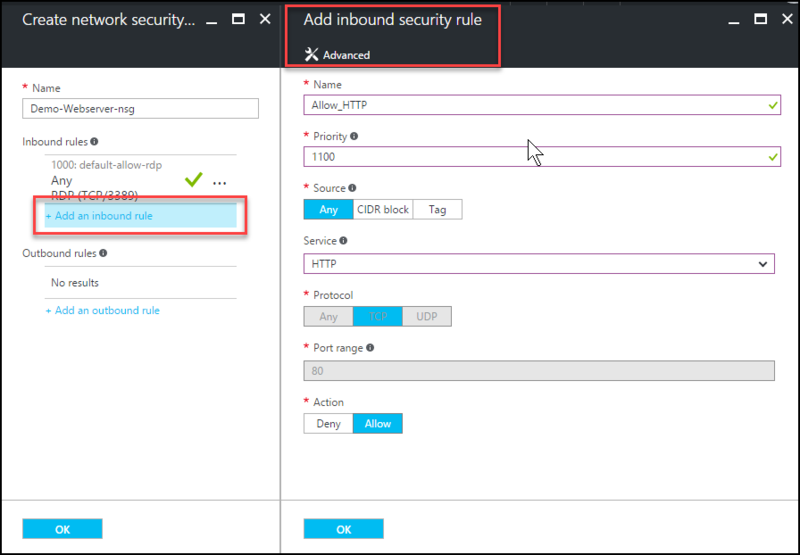 Endpoints need to be setup for the Azure VM to be able to receive HTTP and HTTPS since this will be a webserver. 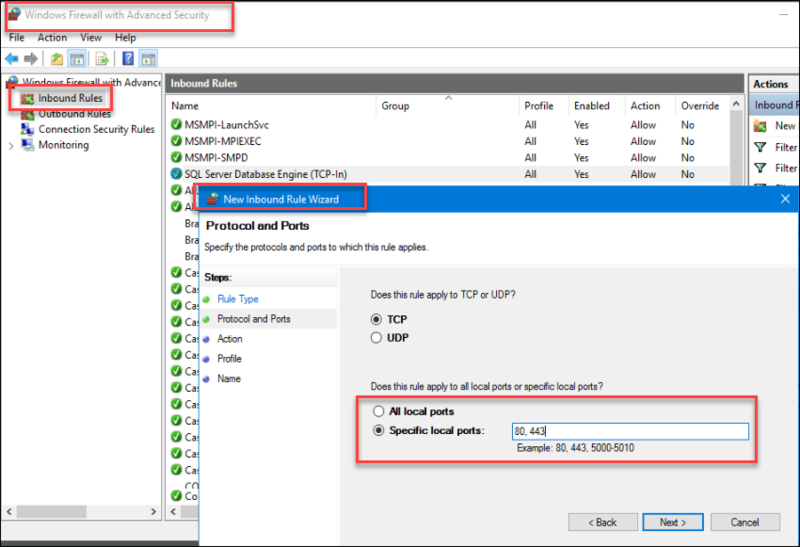 This can be added later in the Network Security Group for the VM, but it is just as easy to add it in the initial provisioning of the new machine. 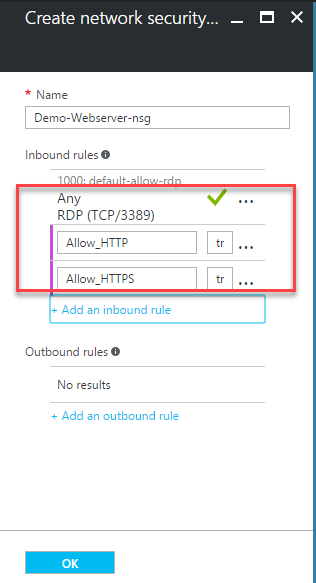 All Azure machines have the RDP/port 3389 allowed – the HTTP and HTTPS endpoints must also be added. 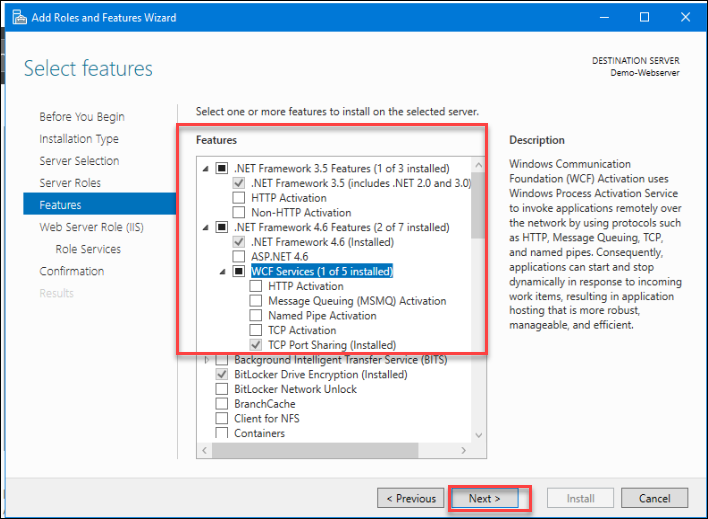 Note that within the deployed Azure VM, Windows Firewall will also need to be opened to allow HTTP and HTTPS. 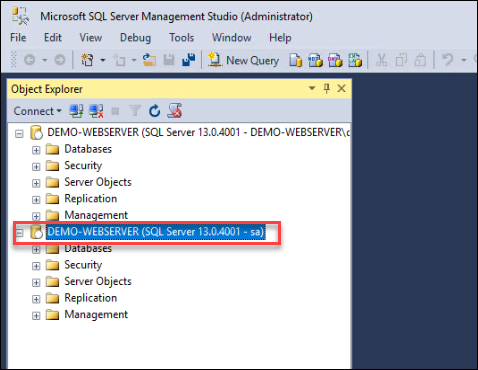 The final blade opening is for the SQL Server settings to be applied during the machine deployment. 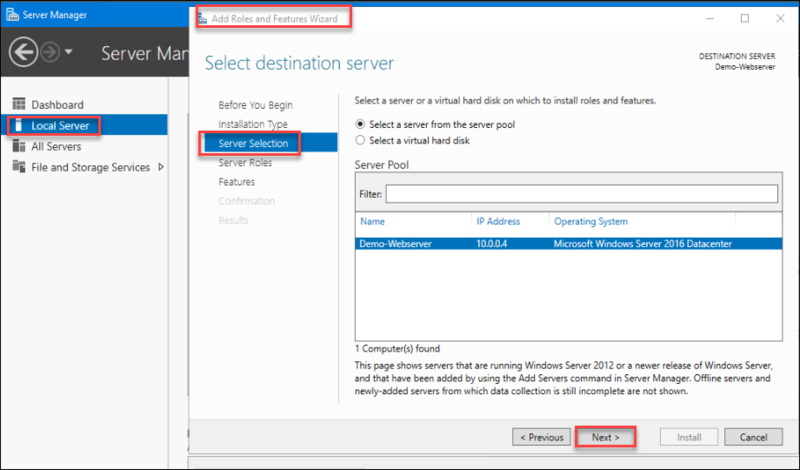 Port 1433 is being opened during deployment, within the server which saves configuration within the server. 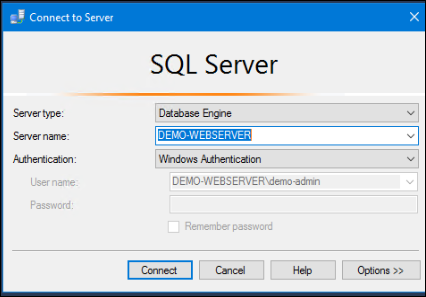 We like to enable the SQL Authentication, so the option to use Windows or SQL Authentication is available for various connections that might be required to the databases being used in the webserver. 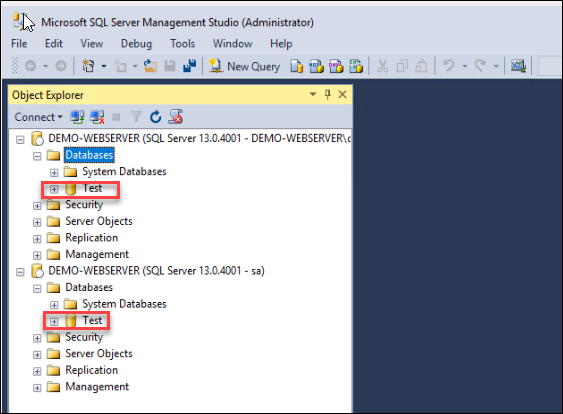 Once connected via RDP to the new server, notice the data drive that Azure provided for the SQL Data and Logs. 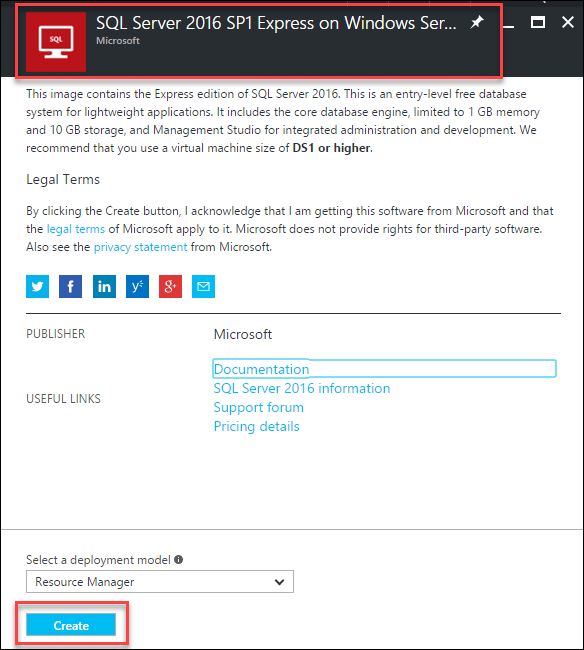 Temporarily allow IE access so that any SQL Server or other Windows updates can be downloaded and installed on the server. 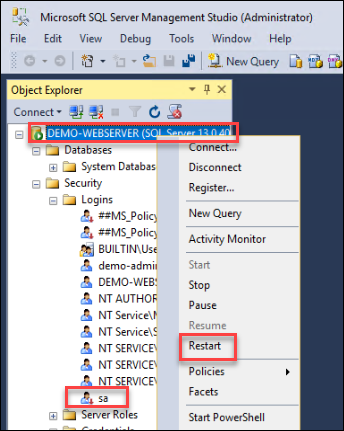 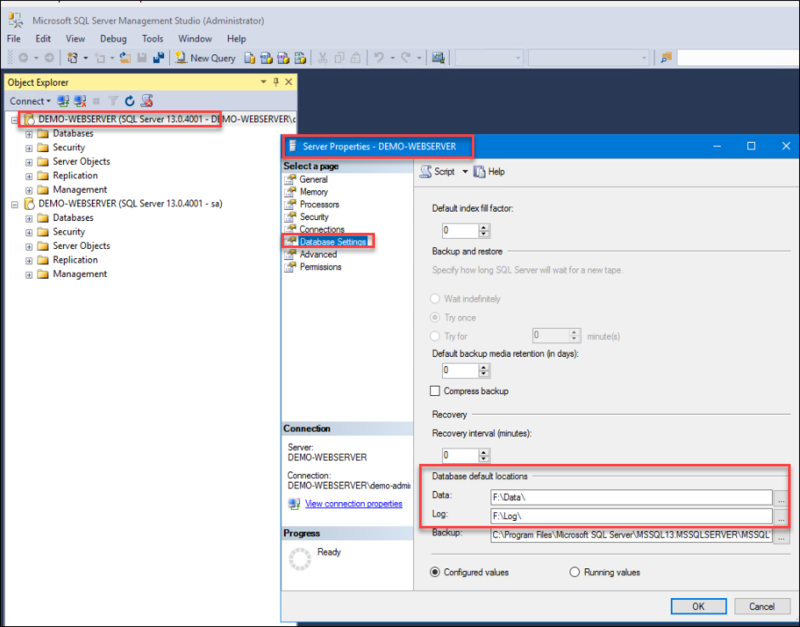 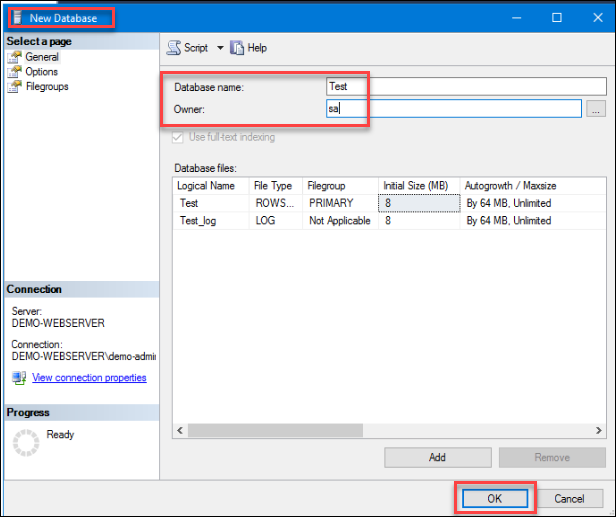 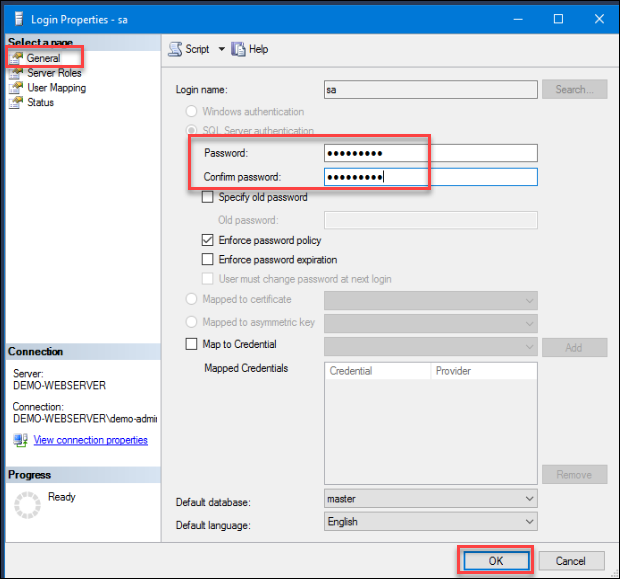 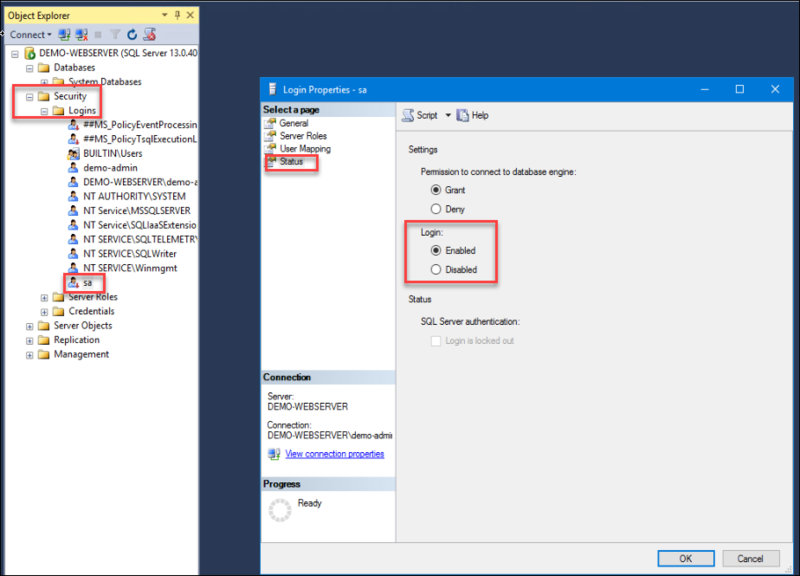 Open SQL Server Management Studio (SSMS) with the Windows Authentication to the connection account established in the Portal setup. 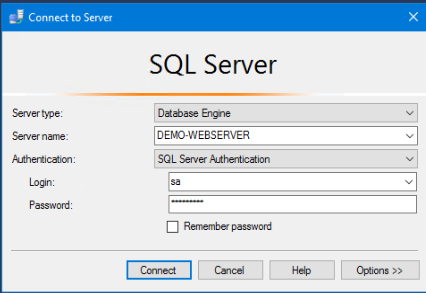 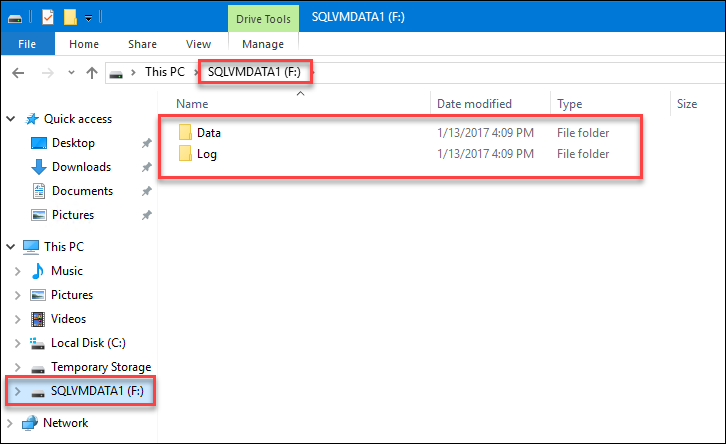 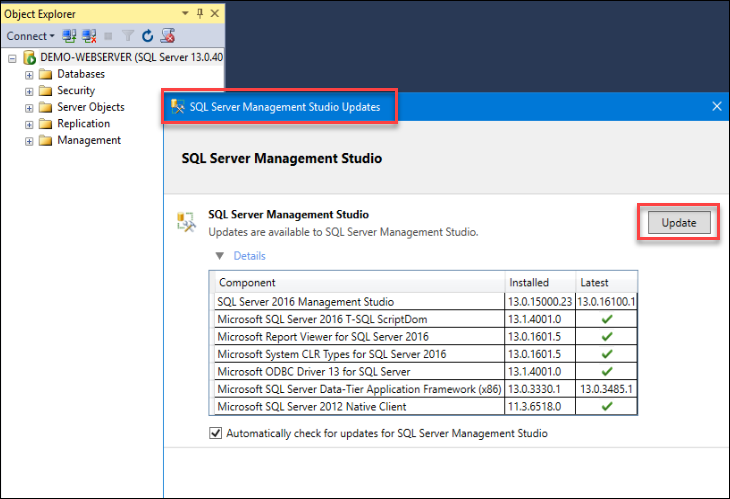 Restart SQL Server for changes to sa account to take place. 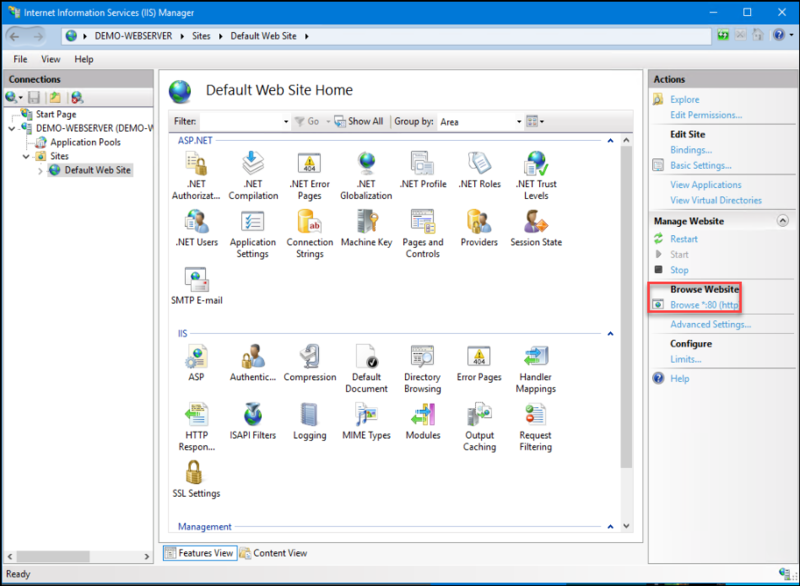 Once installation complete, open IIS and test that the Default Web Site resolves to the generic front page. 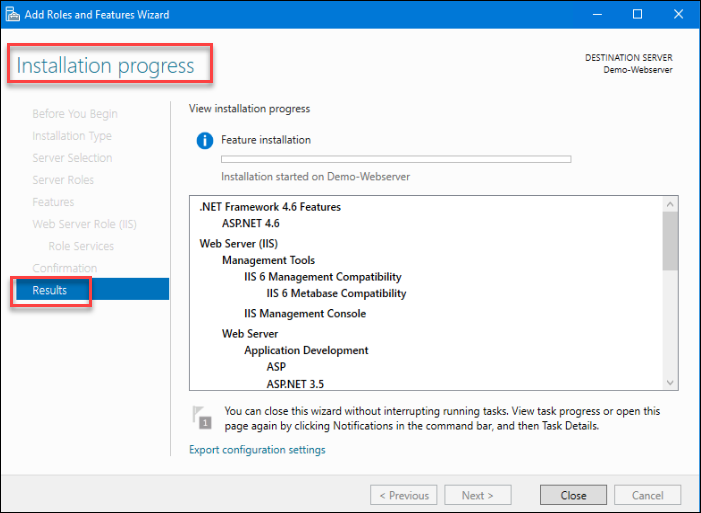 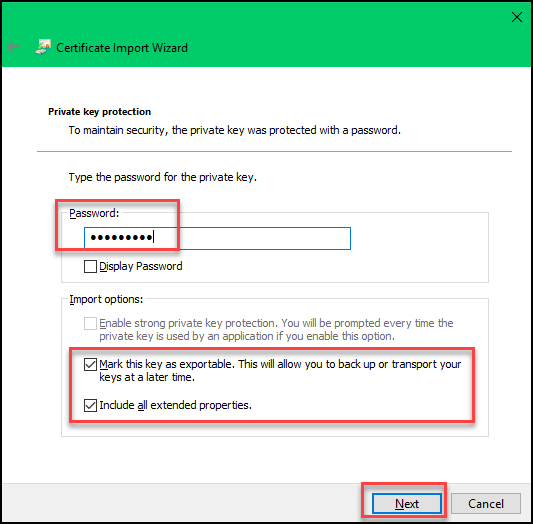 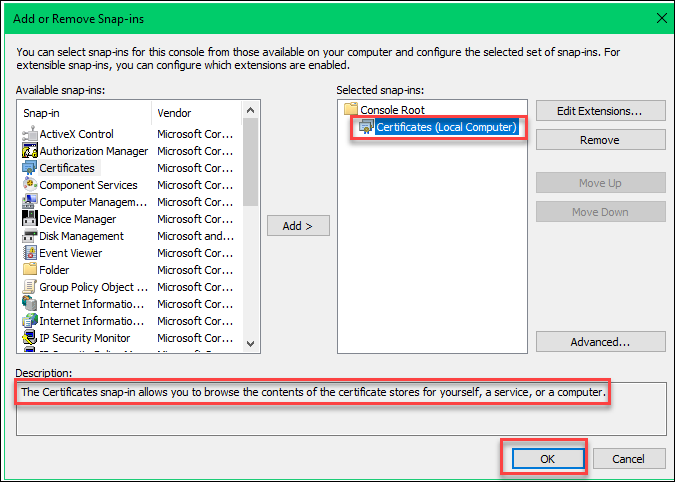 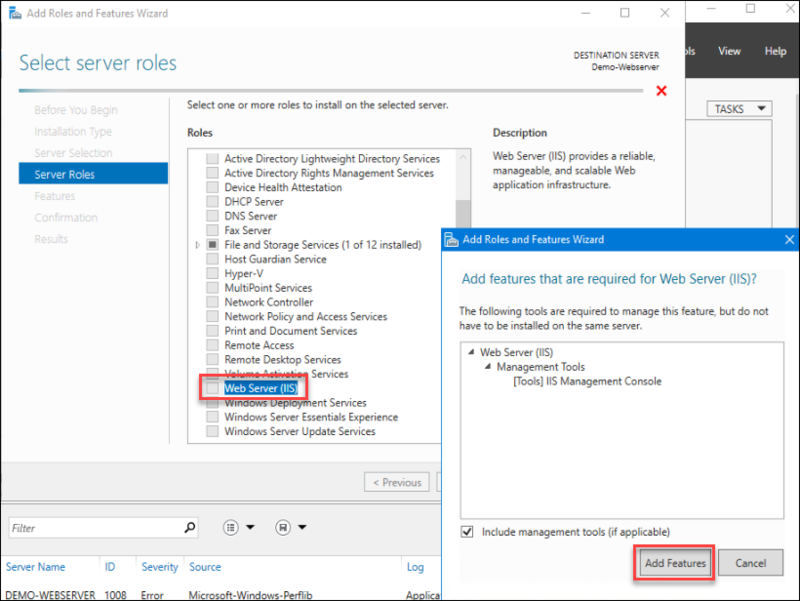 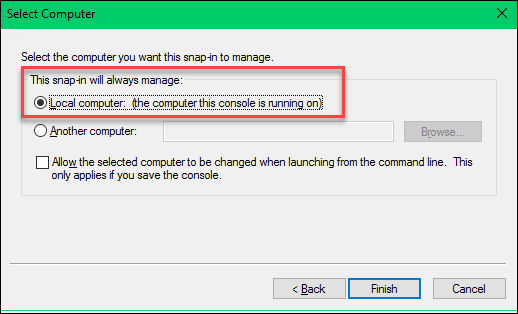 While IIS is installing, go to Windows Firewall > Advanced Settings > Inbound Rules > New Rule and setup a new inbound rule for HTTP (port 80) and HTTPS (port443). 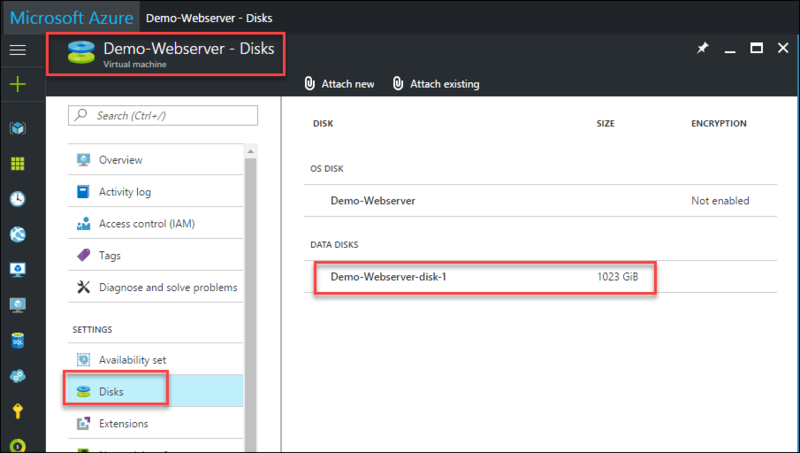 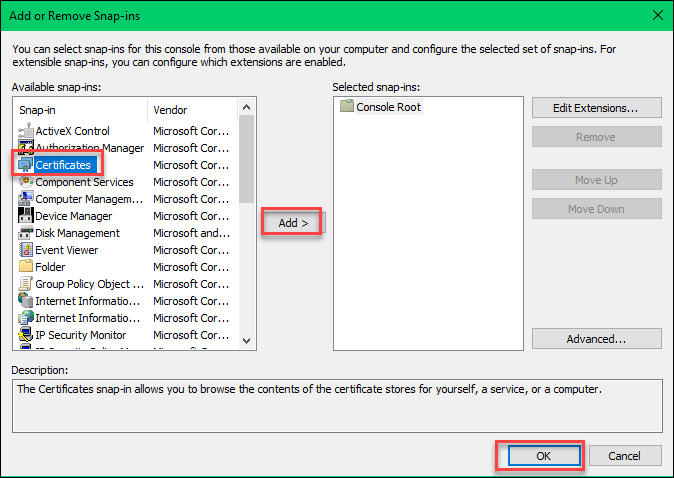 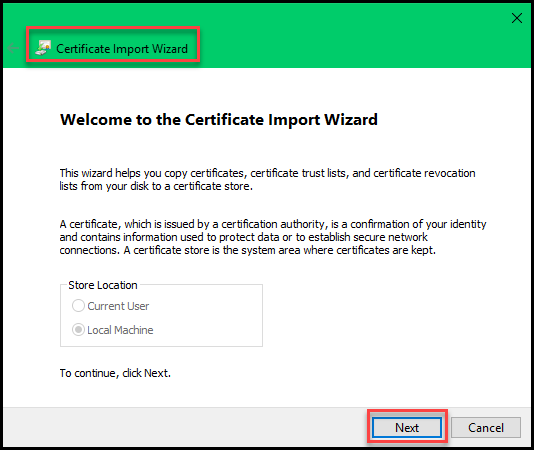 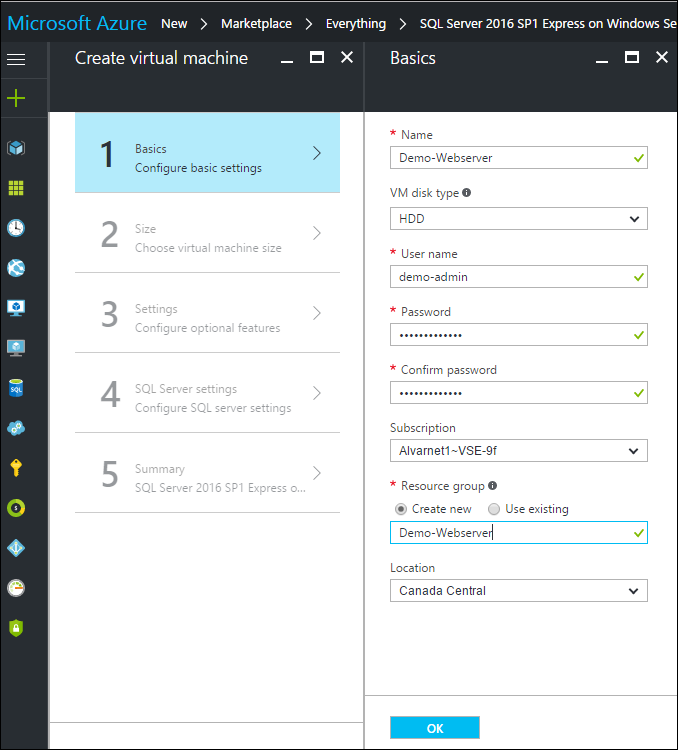 We have a wildcard SSL certificate stored in an Azure File Storage container that can be accessed & saved from this VM via a mapped network drive (see Creating a Mapped Drive to Azure File Storage for how this is done.) 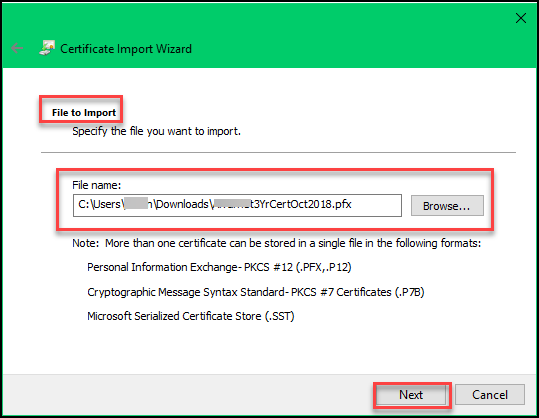 This SSL certifcate was first exported from another webserver. 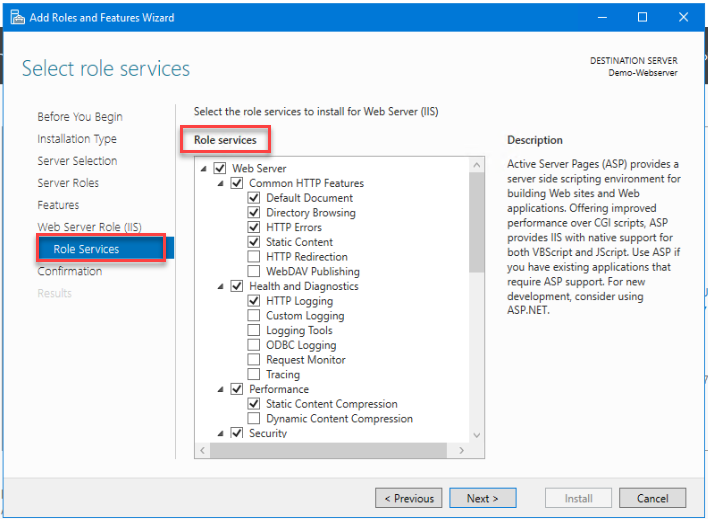 Your Single-Tier Webserver is now ready for work to begin!